Hi loves! I just wanted to pop in and share with you this gem I picked up the other day. 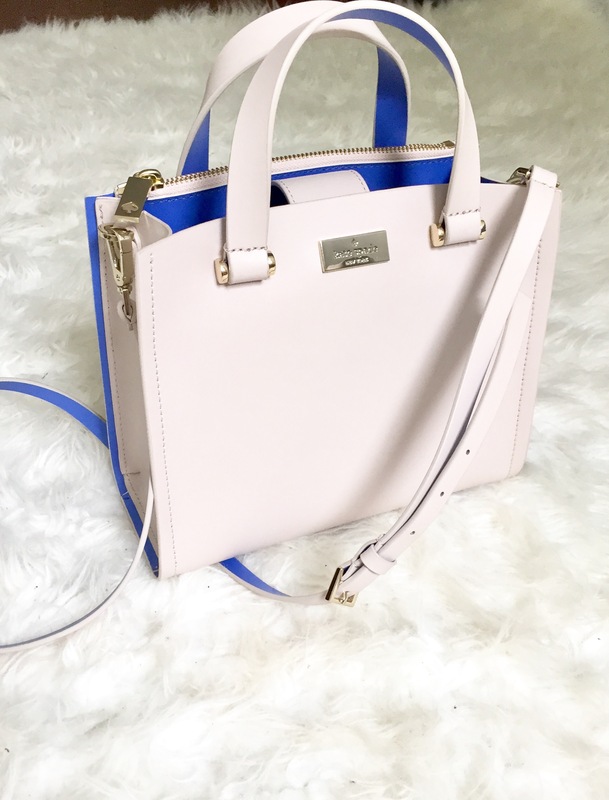 On July 5th, I went to the outlet mall to do a little shopping for my birthday and knew I wanted to go straight to Kate Spade. They were having an amazing sale so there was actually a line outside to get in, but when we were finally in they had the cutest things (definitely worth the wait!). I was deciding between two bags when my fiance walked over holding this beauty and I knew I had to have it. I absolutely love boxy, structured bags and really wanted a smaller one because most bags look so large on my petite frame. The light beige color is neutral but the bit of blue adds the perfect pop of color to make any outfit a little more fun. After all, that’s what I love about Kate Spade. Thanks Hannah! I wasn’t sure about the blue at first but I loved that it popped and complimented the beige at the same time! Kate Spade isn’t all time favourite bag designer, love that they are always practical but fun at the same time! Yes! They definitely make outfits a little more fun. Thanks for reading! 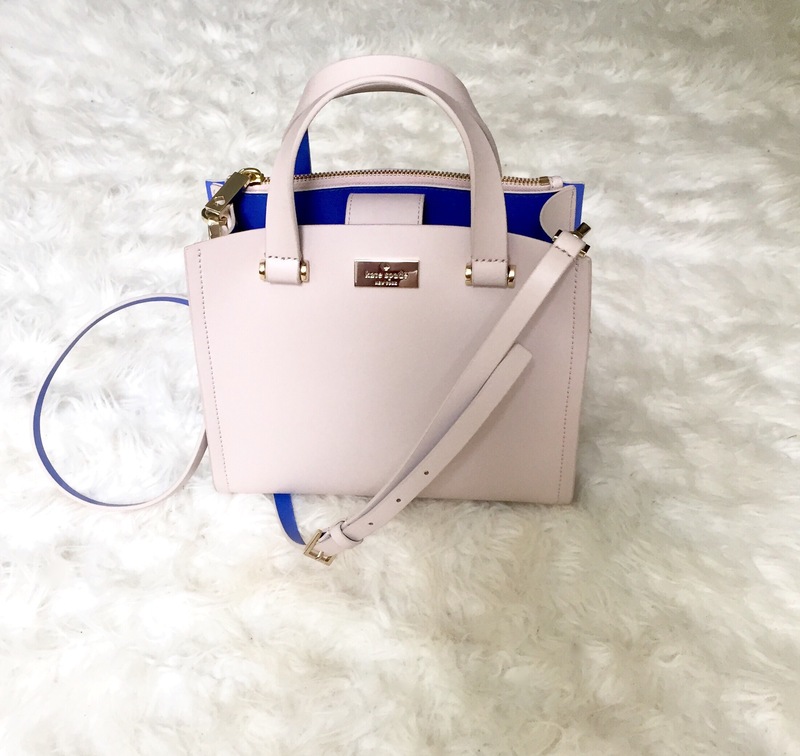 Kate Spade bags are just sooo cute! OMG I love Kate Spade!!! I always checked them out in outlets! People always say the quality is not at par compared to it non outlet but personally I don’t see much difference? 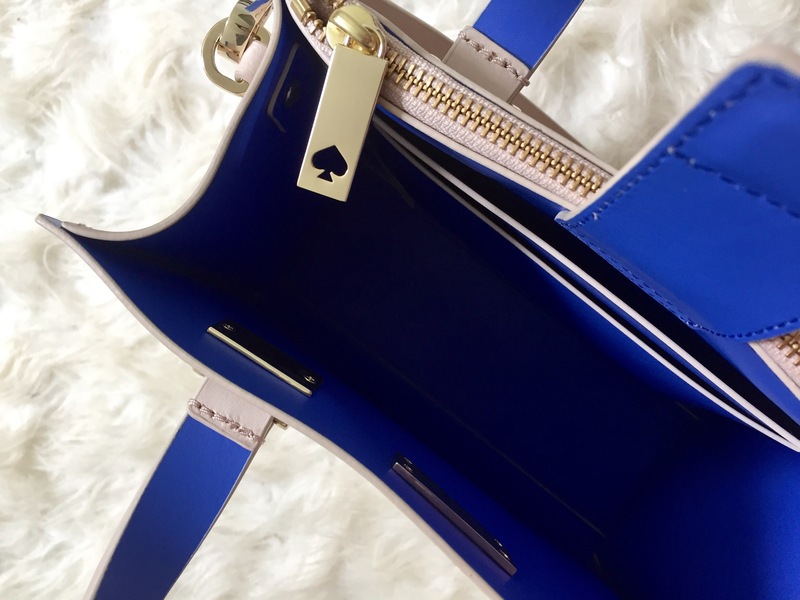 I love the pop of blue on the bag, Kate Spade always has such fun but nice bags to add the perfect touch to any outfit! That is adorable! I love the pop of color! I’m a huge Kate Spade fan too!!! LOVE THIS BAG.